IRELAND IS ENTWINED in stories of myth and legend—of leprechauns, giants and fairies. It’s easy to be swept up in the enchantment before we have even set foot on its shingle shores. Fortunately this fabled isle is every bit as magical as you imagined it. Even more so when you’re riding “upon the wind” of the Belmond Grand Hibernian. Our train experience crisscrosses acres of patchwork fields and craggy coasts, stopping for a spell in some of Ireland’s most storied cities. The first of its kind in the country, the midnight-blue sleeper only joined our troupe of legendary trains in 2016. But it runs on the steam of our love of travel, which has been decades in the making. Just ask our guests that return year after year to board the Venice Simplon-Orient-Express or the Belmond British Pullman trains. The Belmond Grand Hibernian gets right to the green and gallant heart of the Emerald Isle, while offering passengers snippets of the country’s soul. 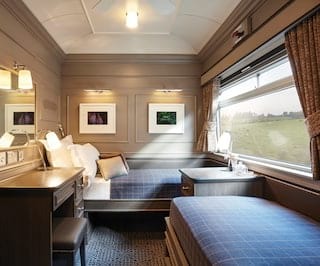 Our elegant sleeper carriages are inspired by the Georgian architecture of Dublin and named after the counties of this spectacular land. 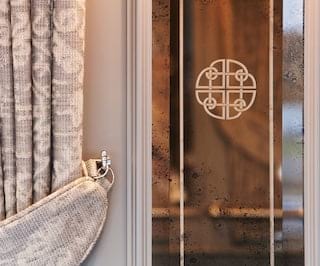 Our Observation Car, Kildare, offers all the warmth of a classic saloon, with live musicians and animated storytelling. Dine on artisan cheese and smoked fish in our two restaurant cars, which are named after the counties of Sligo and Wexford. We have designed tables to seat six, and they’re perfect for sharing a bottle with your travel companions. In the words of Yeats: “There are no strangers here; only friends you haven’t met.” It’s a given that you’ll always be within drinking distance of a pint of perfectly poured Guinness, or a measure of fine Irish whiskey. Our inspiring journeys take you on three routes through both the Republic of Ireland and Northern Ireland. Choose from the two-night Taste of Ireland, the four-night Legends and Loughs, or the six-night Grand Tour of Ireland. Kiss the Blarney Stone at the legendary castle, chase the wind atop the dramatic Cliffs of Moher, and relive the tale of The Titanic in Belfast. All of our journeys are filled with fables from the pages of history anthologies and fairytales. 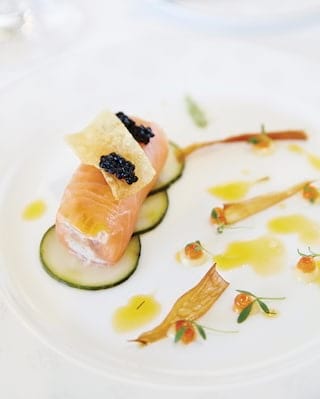 But your time on Belmond Grand Hibernian is for you to create your own story. We hope that you will find ways to retell it, and will carry it within your heart for a lifetime.